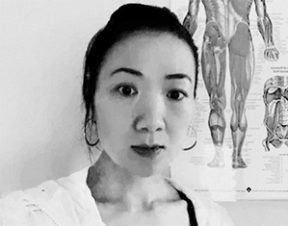 Yin has been professionally educated & trained with Melbourne Institute of Massage Therapy & Myotherapy (MIMT) with a Advanced Diploma of Myotherapy. She always puts clients’ needs as well as priorities and use whatever tools to match client’s needs. Yin will help achieve whatever your goal is: whether to relieve the pain, relax your body and mind or reduce excessive interstitial fluid. Yin’s strong point is her strong background of anatomy, including musculoskeletal system and nervous system. She combines the soft tissue release, joint mobilization and nerve flossing to successfully treat sciatic nerve pain, thoracic outlet syndrome and some pinched nerve pain along the spine.